With over 50 years in business, we’ve got plenty of history and achievements to look back upon. Here are a few key moments in our journey so far! This Family-run business was officially inaugurated by Mr Geoff Boardman on March 28th 1962. 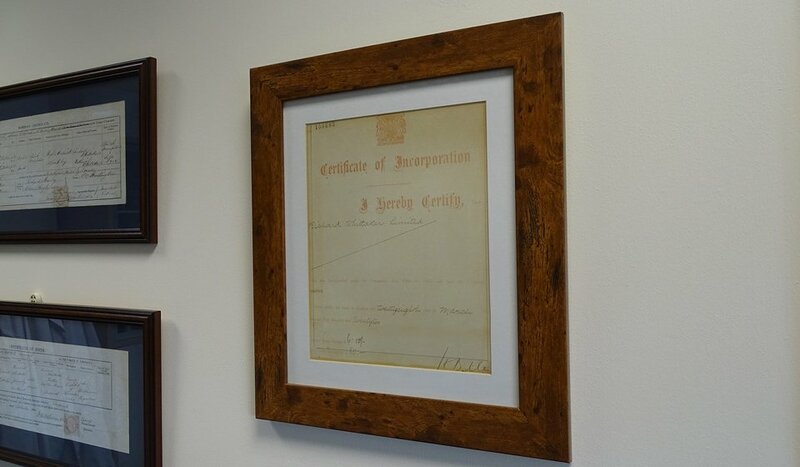 We still have the original certificate of incorporation hanging in our boardroom! Our Managing Director first joined Richard Whittaker Ltd over 40 years ago. 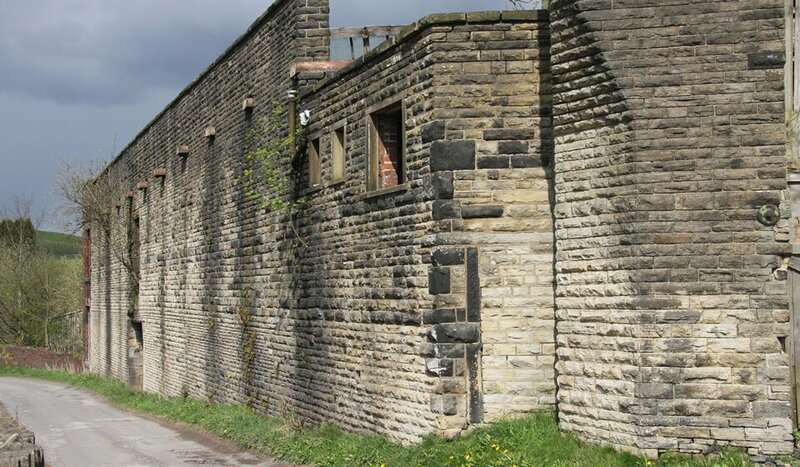 Alan Rigby started his journey with the company processing Textile Starches at Rakewood Mill in Littleborough. After just 2 years with the company, Alan moved into a Director position. 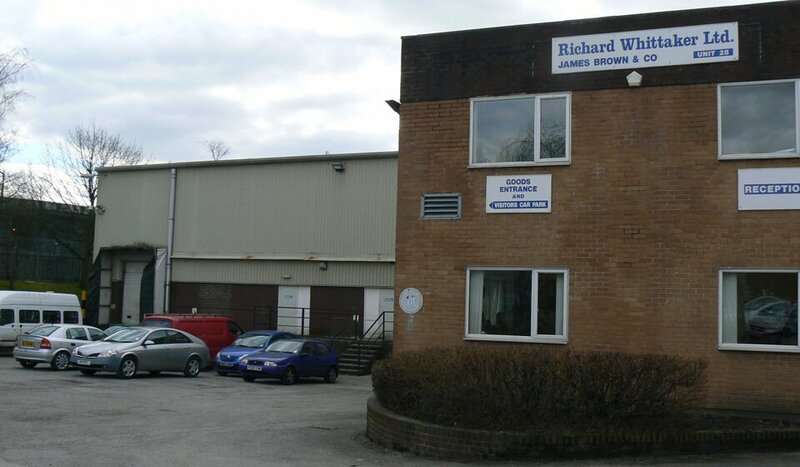 In the first big move for the company, Richard Whittaker upgraded premises by moving into Spenwood Industrial Estate, found on the old Tannery site in the centre of Littleborough. This allowed the business to handle all Avebe Potato Starch warehousing in the UK, along with some Food Starch production. Richard Whittaker Ltd acquired its first subsidiary with the purchase of James Brown & Co, a brand we still proudly count as part of the RWL family to this day. The acquisition allowed us to continue their supplying of food starches and catering supplies to ethnic wholesalers. 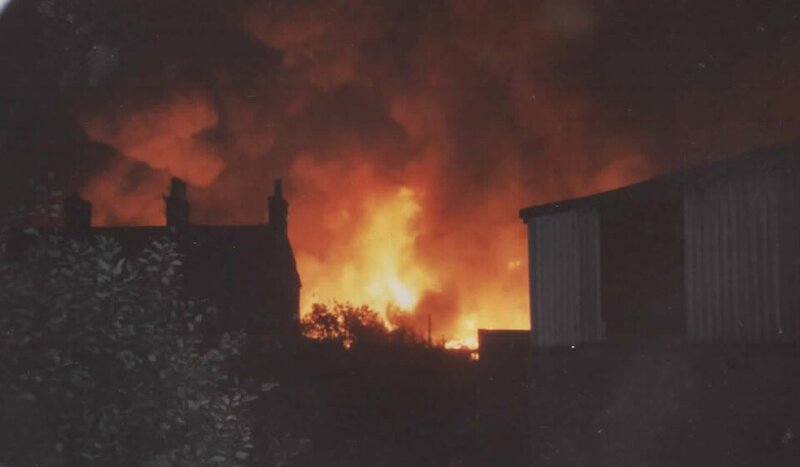 Unfortunately, and not the for the last time, an arson attack destroyed the company’s home in Littleborough resulting in the need for a new premises. It would lead to Richard Whittaker Ltd moving more heavily into food processing. 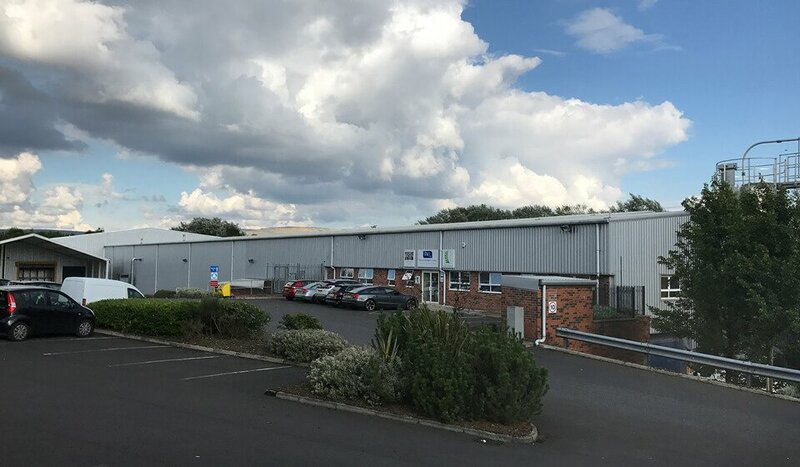 A new home for Richard Whittaker Ltd is found nearby in Castleton, Rochdale on the Transpennine Industrial Estate – the company remained here for over 20 years and continued to expand & grow. Directors Alan Rigby, Les Burrill & Brenda Henderson buy out the company’s management and take full control of Richard Whittaker Ltd.
Once again, the company falls fouls of an arson attack resulting in a 15 month move to the Springthyme site in Littleborough whilst the Transpennine unit was rebuilt. Though it was a terrible occurance, it only served to make us stronger. Recognising the increasing demand for allergen free products, Richard Whittaker acquired Innovative Solutions and created the Pure Gluten Free brand, producing gluten free products for a variety of markets. We made the switch to our current home at the Mayfield Centre with the aid of a GBI grant following a period of sustained expansion. The move has enabled us to grow year after year and symbolises an exciting future for Richard Whittaker Ltd.
We were very proud to be named Business of the Year at the inaugural Rochdale Business Awards in the category for businesses with a £5m+ turnover. 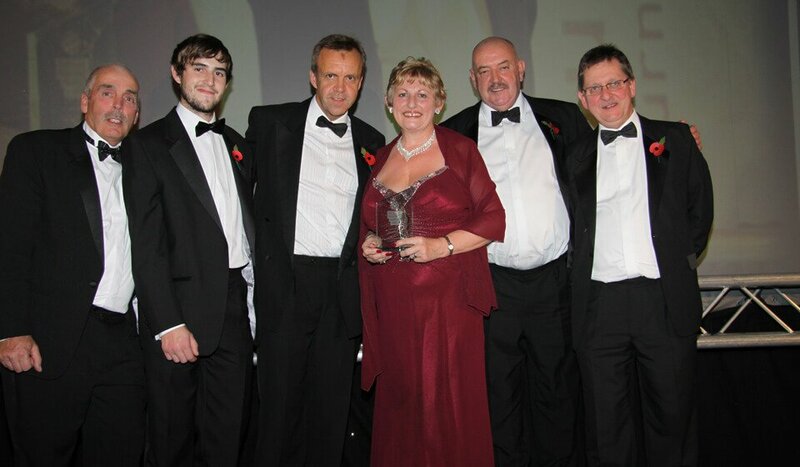 We went on to sponsor the event for 2 years after winning the award. The team scrubs up well doesn’t it?